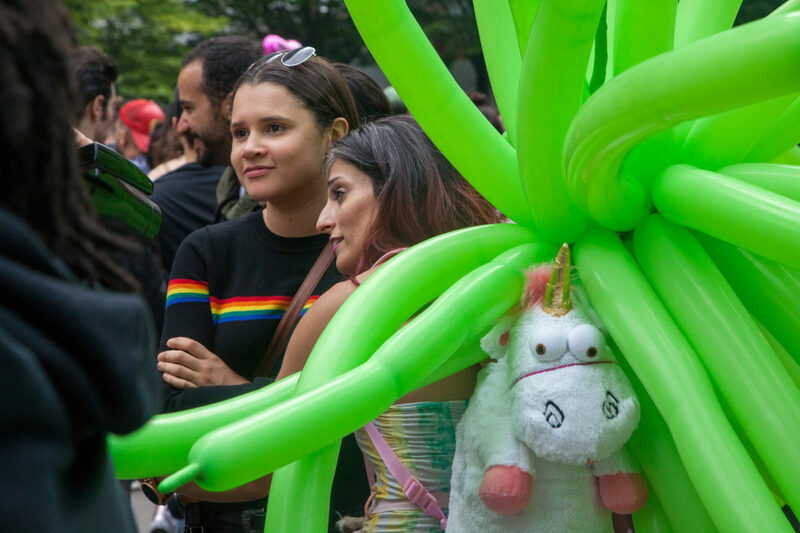 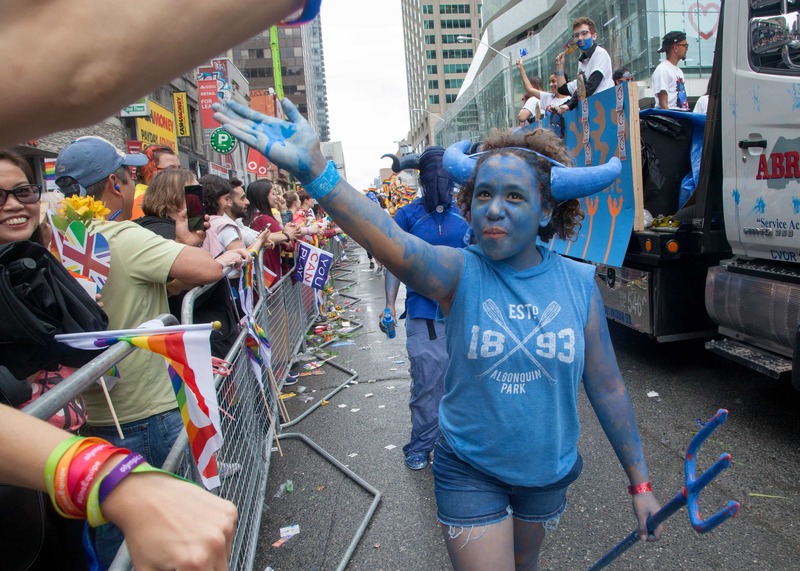 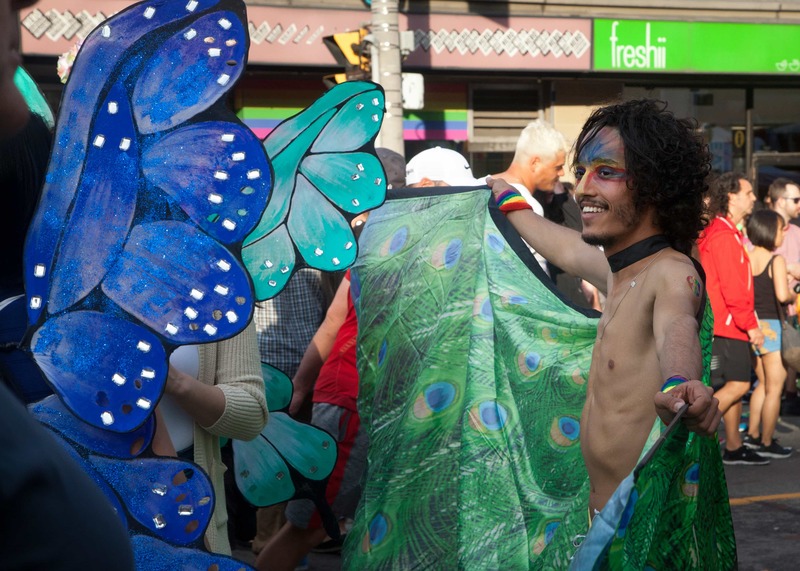 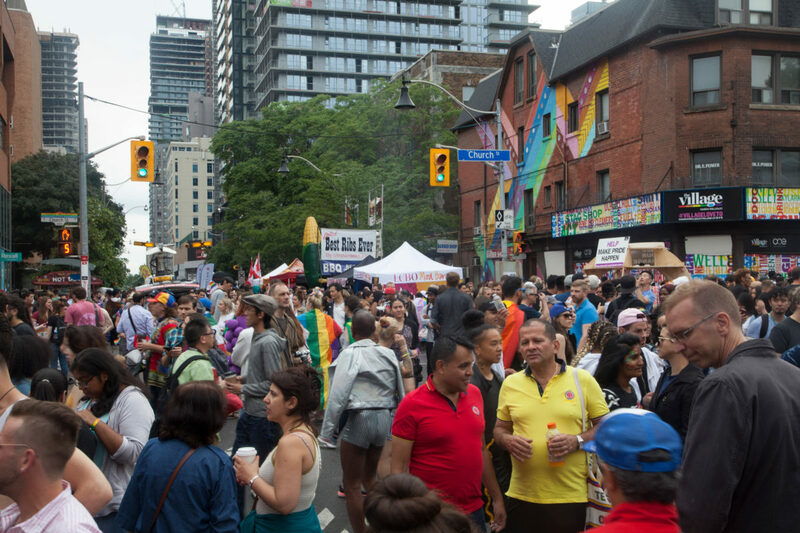 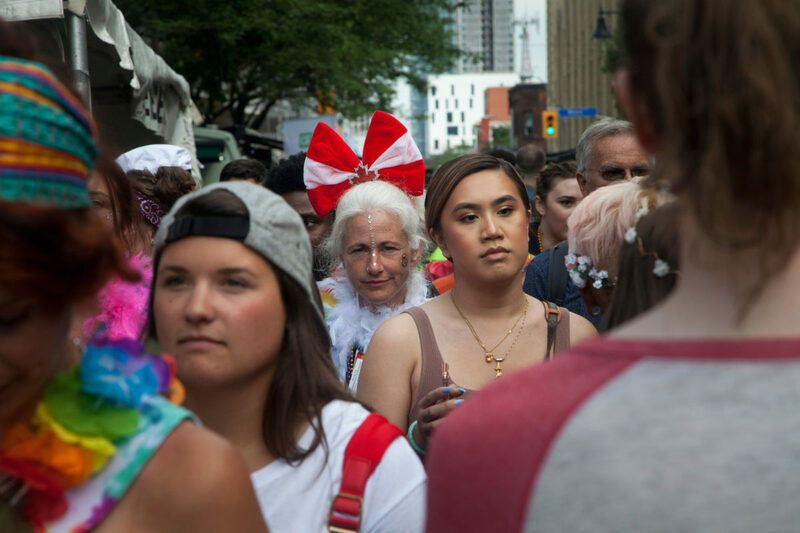 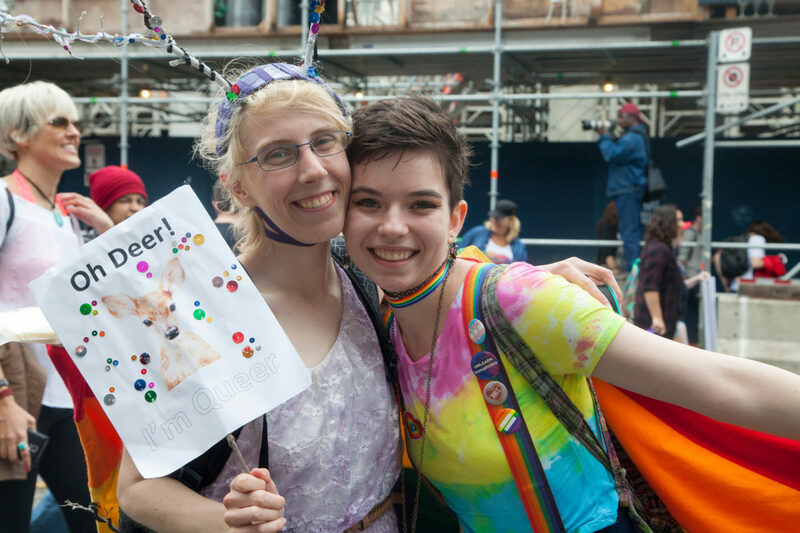 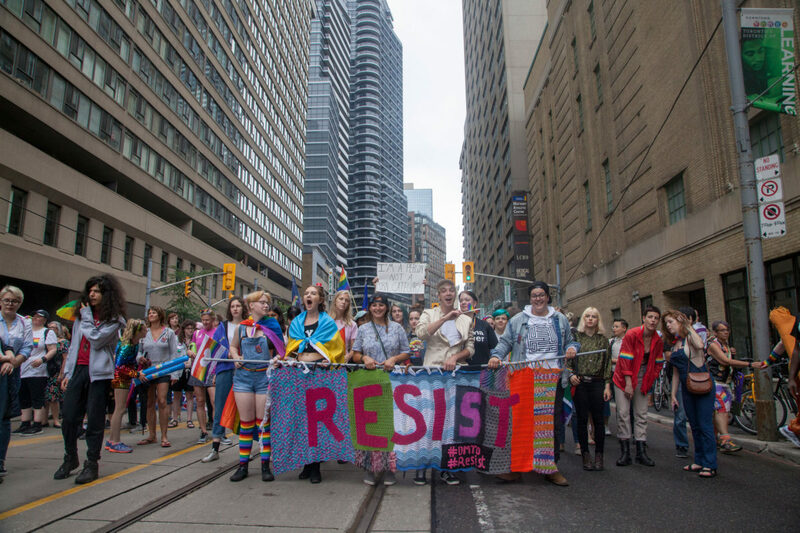 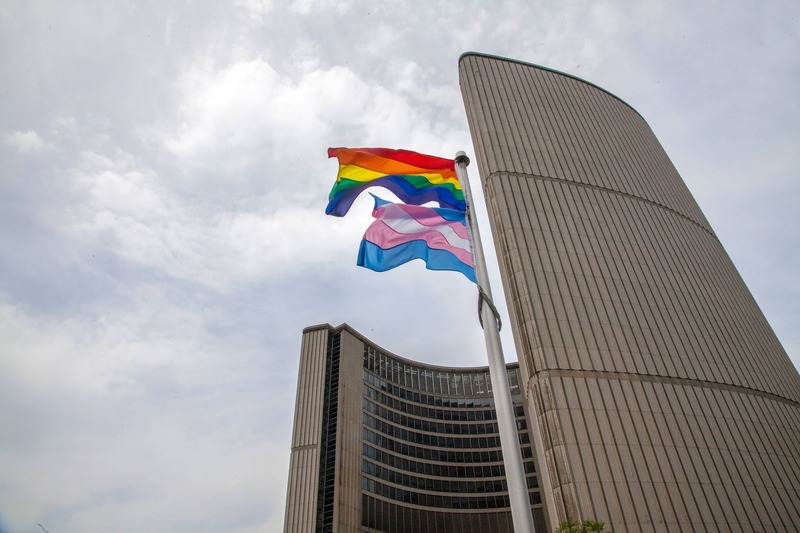 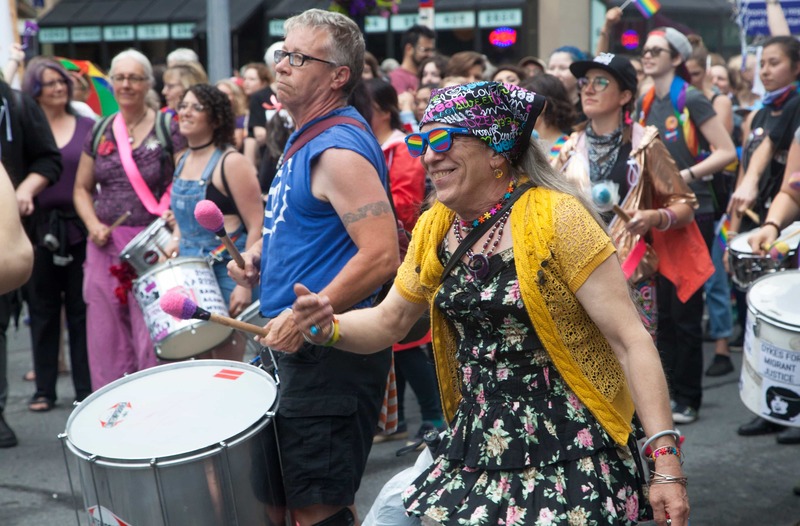 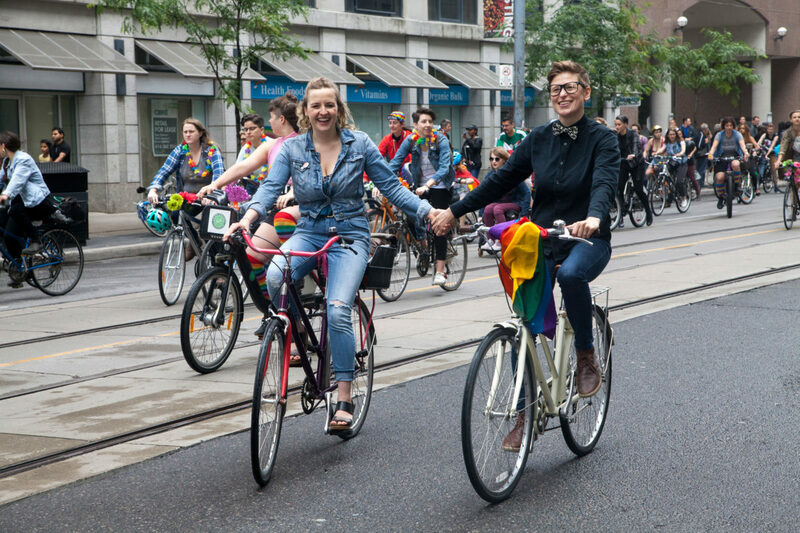 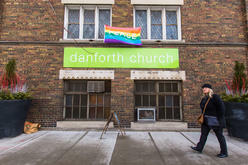 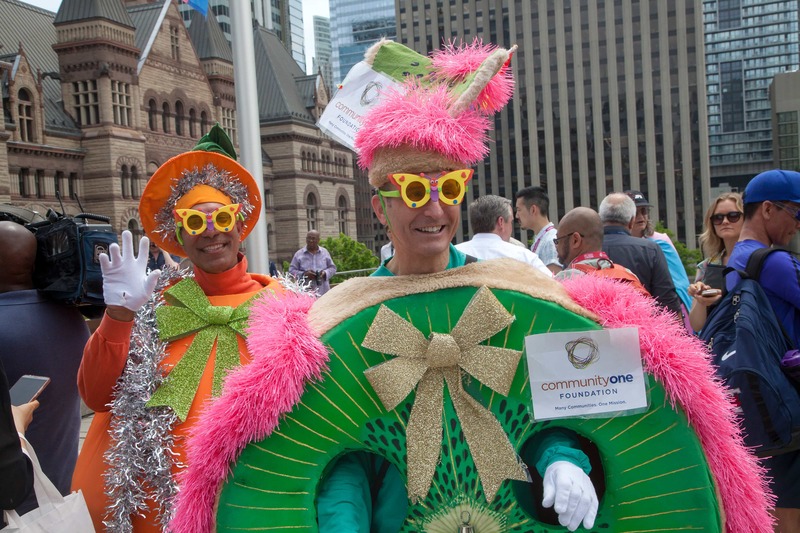 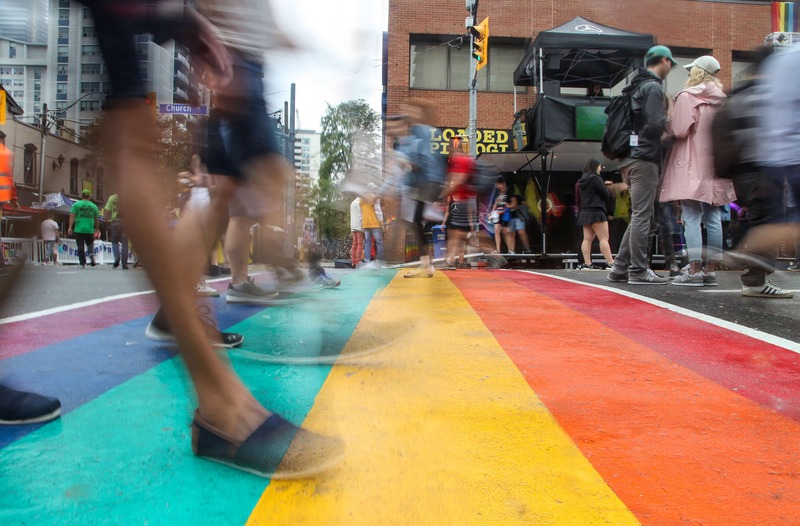 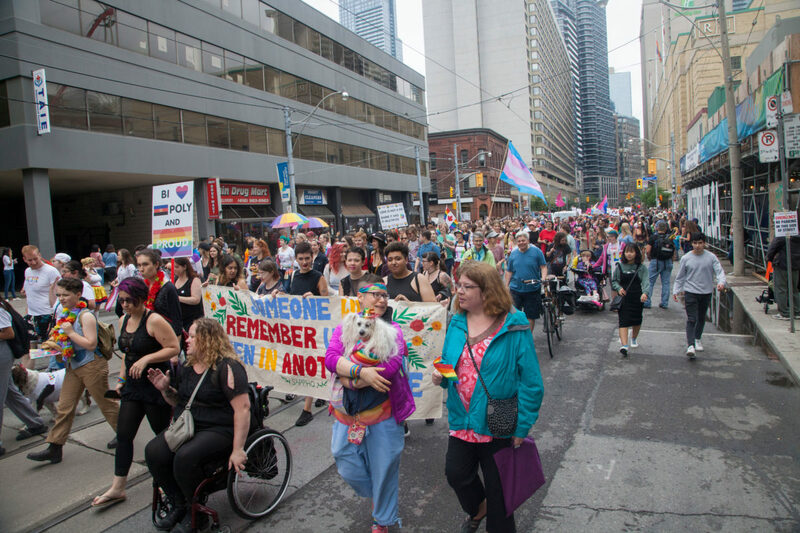 Last Sunday marchers and spectators visited Toronto's downtown core for annual Pride Parade, which remains a symbol of solidarity and celebration for many in the LGBTQ community. 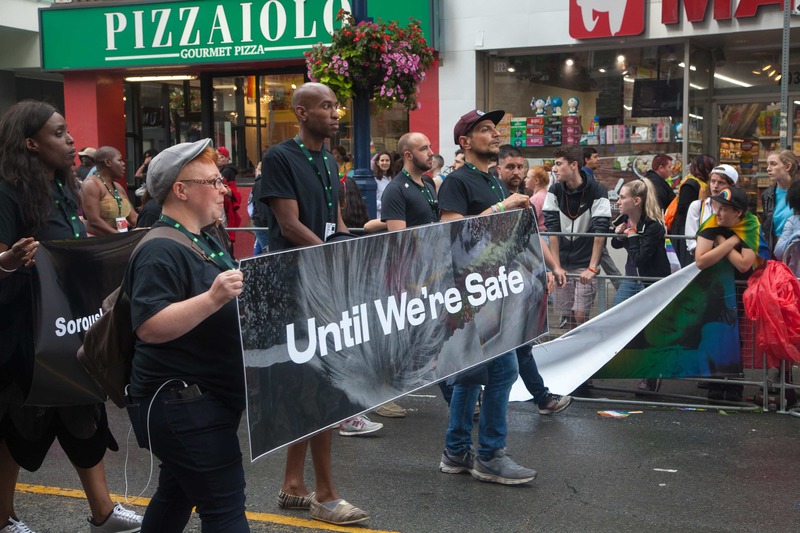 The parade ended with an "Until We’re Safe" march, led by organizers and volunteers wearing black, remembering the LGBTQ victims of violence. 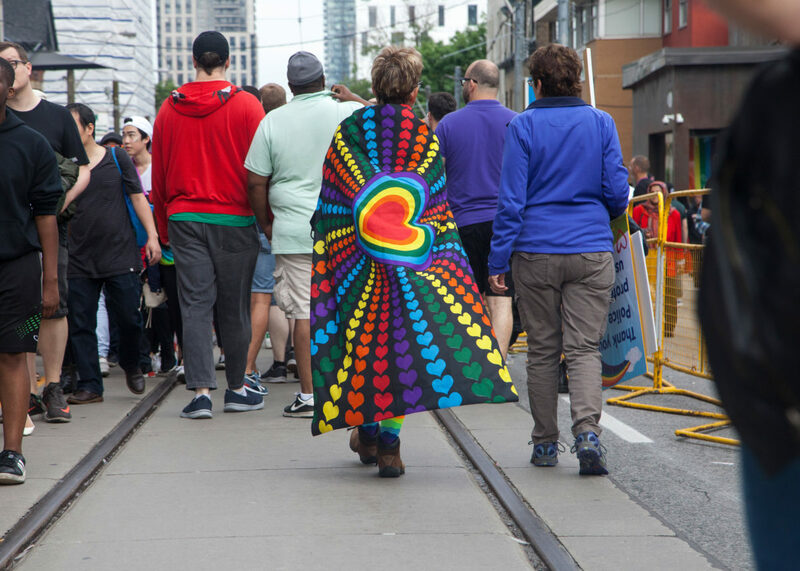 And even though the rain didn’t help this sombre atmosphere, thousands of people lined the sidewalks to share the message - that love is love. 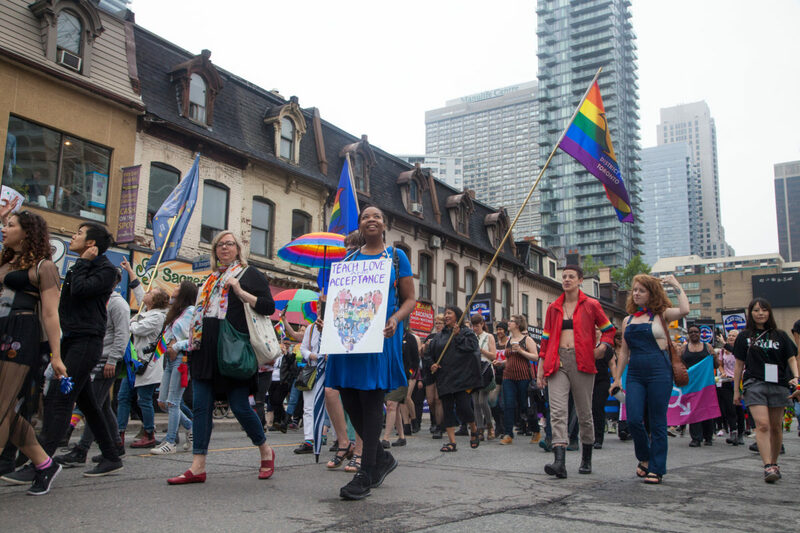 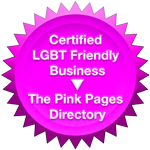 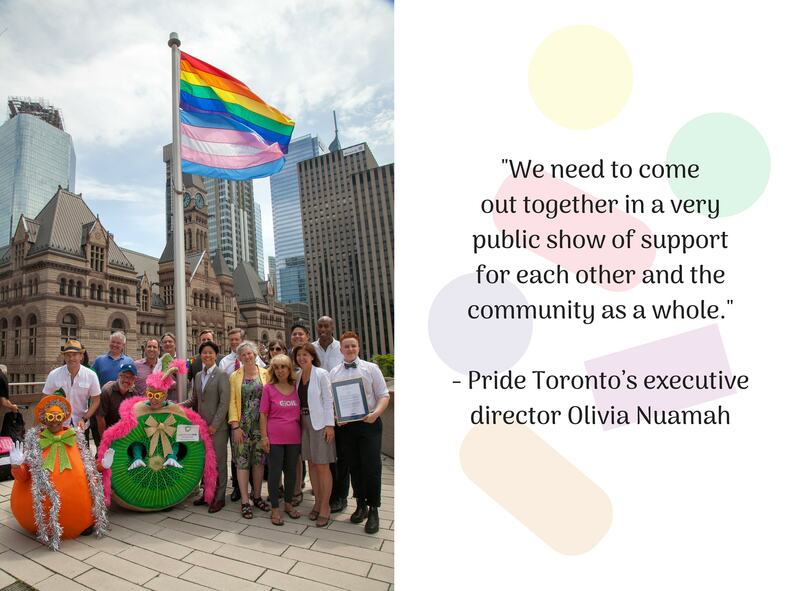 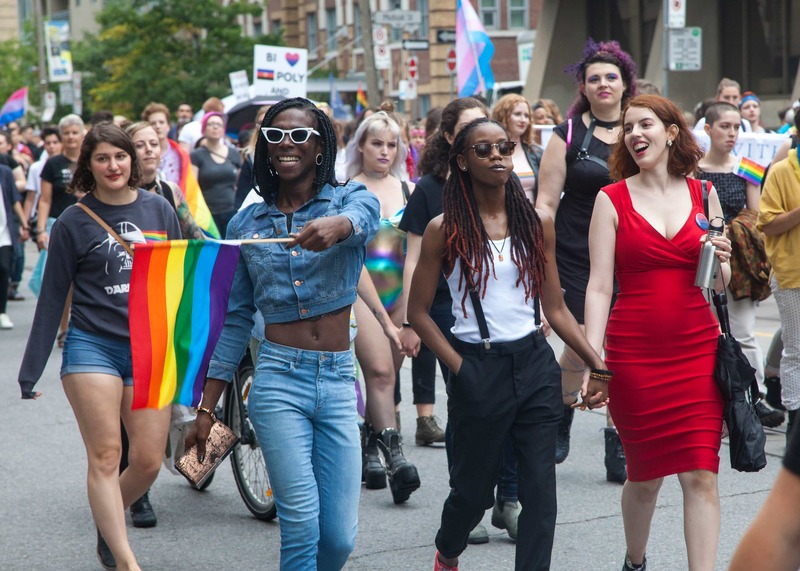 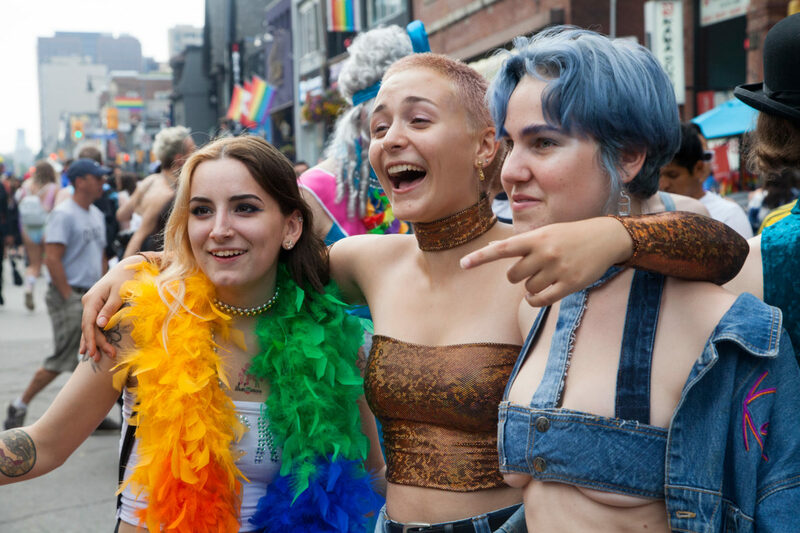 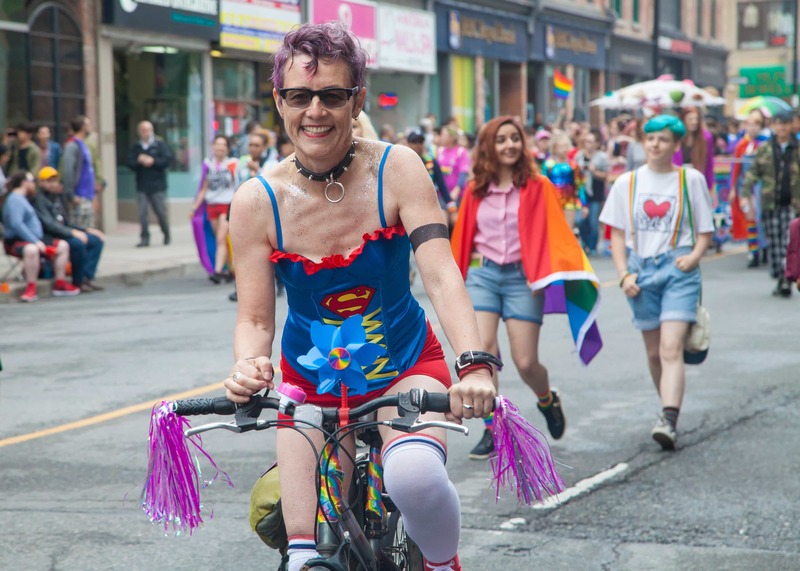 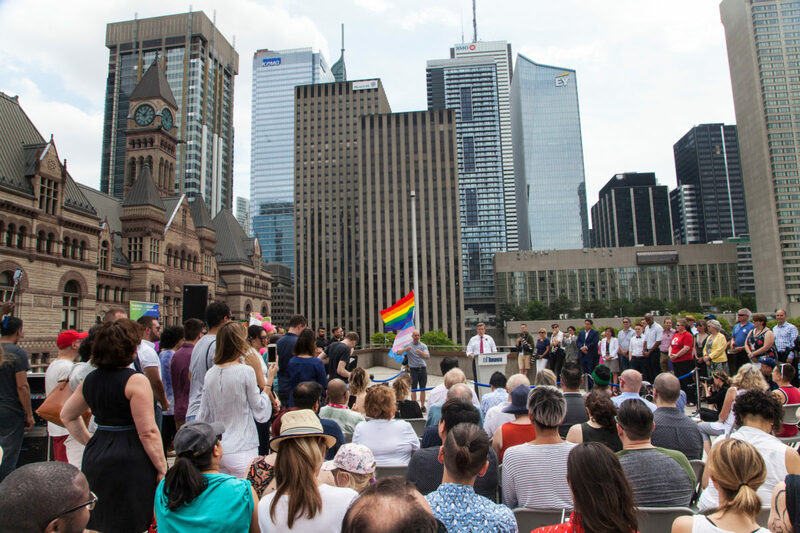 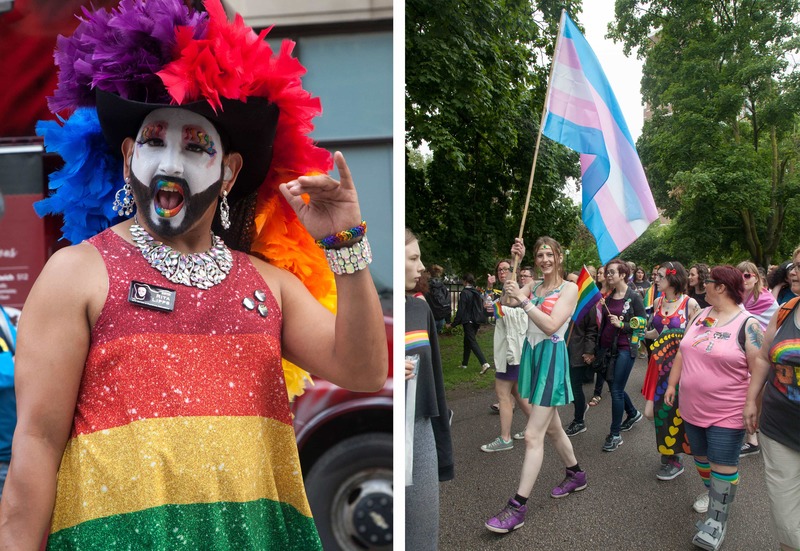 From flag raising at the beginning of the month to the weekend's Dyke March and the Parade itself, relive these colourful celebrations with us!